Home News Where is the AirPower? When will it be released for sale by Apple? Where is the AirPower? When will it be released for sale by Apple? Apple introduced its special wireless charging accessory for iPhone 8, iPhone 8 Plus and iPhone X during the September conference last year. 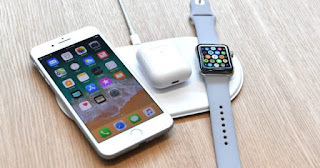 Known under the AirPower nomenclature, this charging dock is based on standard Qi technology and will also offer compatibility with the AirPods case and the Apple Watch. So far so good, great, but there is a problem. A very serious problem. When Apple introduced the AirPower, the company mentioned that it was not ready for launch yet. But they promised that its commercialization would arrive at the beginning of 2018. Well, several months have passed and we still have not seen any sign of Apple's AirPower. 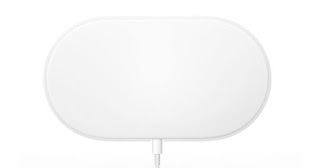 Where is the wireless charging accessory? When will it be released to the market? Most likely, Apple has had some technical problems during the manufacturing process of the AirPower . Or maybe the company is waiting for the Qi consortium to give its approval to the improvements implemented in the standard wireless charging before presenting its accessory. Who knows, maybe they're waiting to launch it along with other products at WWDC 2018 in June . Be that as it may, the device is taking too long to reach the market. Recently, a possible acceleration of AirPower production was leaked, indicating that it could be available for sale in March , after Apple's special keynote . But no, maybe it will arrive in this month of April? Throughout these last months we have been recommending a wide variety of wireless charging docks compatible with the latest iPhone models. Here we leave you with some of the most interesting. 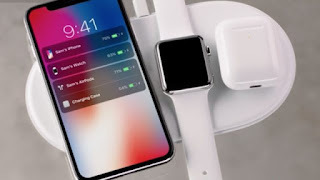 It is rumored that the AirPower will cost 200 euros , however at Amazon you can find more alternatives for a much more affordable price , and you will not have to wait months and months for its launch!